As Peter Harris of Patong Rotary sadly points out in the article, on average more than 950 children drown in Thailand each year – that’s three young lives lost every day. Somehow, child drownings is a blight that Phuket manages to avoid, despite the number of tourist drownings at Phuket beaches. 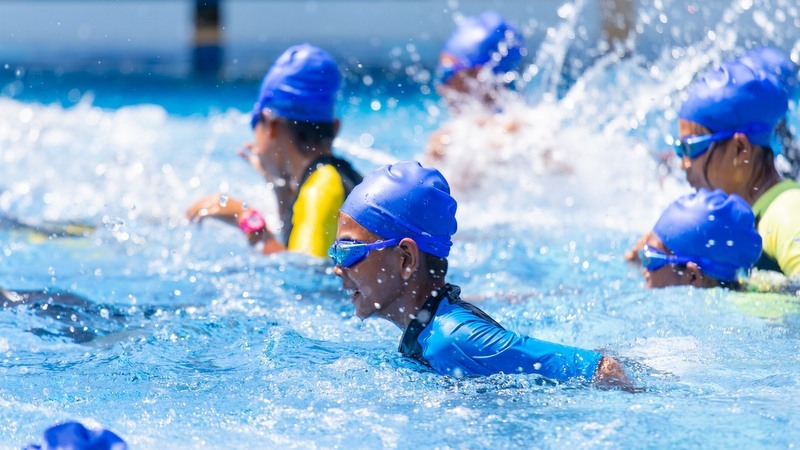 When it comes to children, islanders do well in reacting as quickly as they can to minimise the risk, as was done at Nai Harn Beach only a handful of years ago when the risks of swimming in the freshwater canal linking Nai Harn Lake to the sea were horribly realised. That type of action if applied to just some of the many other deadly dangers on the island, most importantly safety on our roads, could achieve wondrous results and save hundreds from being killed or maimed each year. It just beggars belief that it is not done. All such programmes teaching our youngsters how to keep afloat and make it safely back to dry land deserve the highest support. In this we include all the fine work done by the Phuket Lifeguard Club for years in teaching youngsters to swim in pools before taking them into the surf, and any surf lifesaving training provided free, such as the international certified course provided by the International Surf Lifesaving Association at Surin Beach in late 2017. It all counts, not only in increasing the ability of saving one’s own life, but also the potential ability of saving someone else from drowning. The fact that the Patong Rotary programme was funded by a grant from the Australian Government also deserves special mention. Without harping on about why the Thai government doesn’t do this for their own nation’s children, we’re just grateful that the opportunity was extended. It is projects like this that children remember for the rest of their lives. It is the very stuff of genuine goodwill. Phuket is an island. There is no excuse for any child here not learning how to swim. Indeed, the ability of all locals of any age to know how to safely navigate the dangers of entering the water should be a point of pride for any island like Phuket. It should be part of our living heritage. Let’s make it so.